Vignetting or light shading is the attenuation of light far from the image center. There is a natural cause of vignetting: An object that is off-axis “sees” the aperture with a smaller solid angle (the apparent surface of the aperture stop as seen from the object’s position). For large-aperture lenses, another phenomenon also impacts the illumination of the sensor in the image. In these cases, not all rays from an off-axis element that go through the stop of the lens will reach the sensor. Some of them will be blocked by mechanical elements inside the lens. DxOMark measures light vignetting by imaging an evenly-lit white target. Pixel values are retrieved from all parts of the image. The ratio of these values over the maximum value (usually the value at the image center) found in the image gives the vignetting measurement for each pixel. 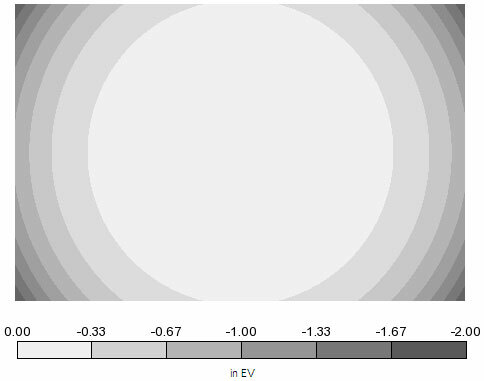 Vignetting is expressed in exposure value (EV): a variation of 1EV is an attenuation of a factor of 2. We create a field map of the vignetting as well as an average radial profile. We then extract a statistic such as the maximum value of vignetting found in the image, and then map it as a function of focal length and aperture value. DxOMark displays the vignetting profile as a function of the distance to the image center. 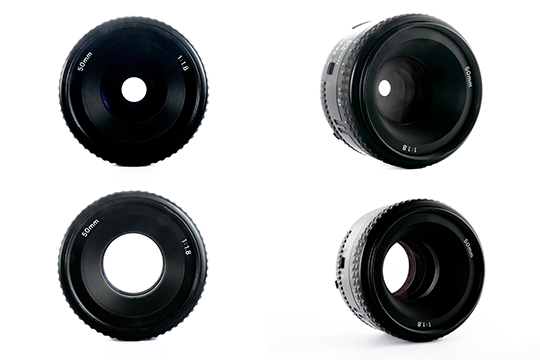 There is a profile for each focal length and f-number. Vignetting is mapped in the image field. 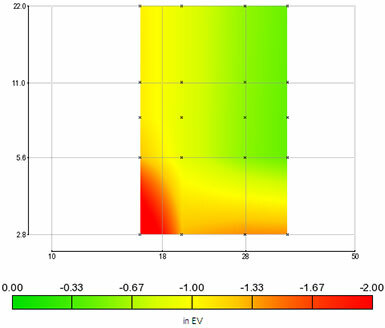 To facilitate comparison, attenuation is quantized every 1/3EV. There is a map for each focal length and f-number.